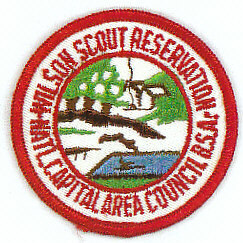 The Woodrow Wilson Scout Reservation sits in the central portion of the park and is comprised of approximately 160 acres. 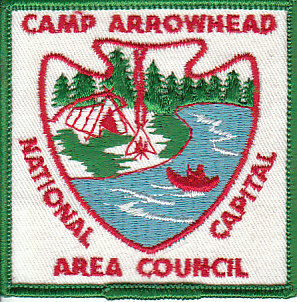 The summer camp occupied the property from 1948 until 1967. 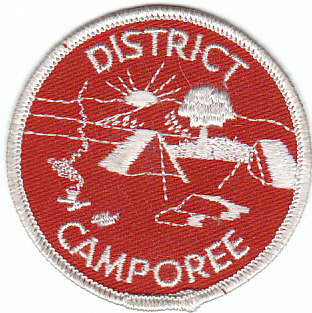 Although primarily a summer camp, the Boy Scout camp was also used on a short-term basis year-round. The site consisted of a 1953 ranger house, six-room quartermaster/health lodge/trading post (circa 1948), a boathouse, dining hall/kitchen known as Meyer Hall (circa 1948), and fifteen individual campsites. Eleven of the campsites contained wood shelters with dirt floors and no walls, latrines, and wash stands. An in-ground swimming pool was constructed with a pump house, filtering system, and shower facilities. A system of hiking trails coursed through the reservation and across the Lebanon Tract to the north. There are four extant buildings associated with the Boy Scout camp: Meyer Hall, a pump house, Camp Ranger Tucker's House, and a privy. Meyer Hall is a one-and-a-half story wood frame dining hall and kitchen constructed circa 1948 in the Craftsman style. Set on a poured concrete foundation, the five-bay wide building has a front gable roof with overhanging eaves. 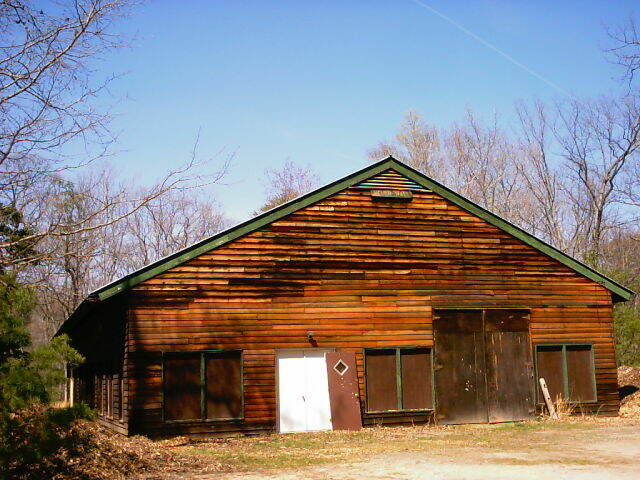 The pump house, also circa 1948, is a one-story, one-bay wide wood frame building. Decorative detailing has been confined to the wood vergeboard, which has a scalloped edge. Camp Ranger Tucker's House, constructed in 1953, is three bays wide and one-and-a-half stories in height. Clad in vinyl siding, the modest dwelling has a central entry and a steeply pitched side gable roof. The one-story, one-bay rectangular 1954 privy has wide eaves with notched rafter ends. Archeological ruins, consisting of a brick chimney and a few scattered concrete blocks, are located along the banks of Pohick Bay, to the northeast of Meyer Hall. The deteriorating chimney appears to have been laid in American bond and marks the location of an earlier building whose function is unknown. In the Wilson Reservation, there is also a nonhistoric comfort station, consisting of two concrete block structures. Each of the associated buildings has a corrugated metal roof. The comfort station appears to date from the latter part of the 20th century. Encouraged by local efforts to create a wildlife preserve along Pohick Bay, the National Capital Area Council of the Boy Scouts of America purchased land from William Ames for use as a camp reservation in 1949. 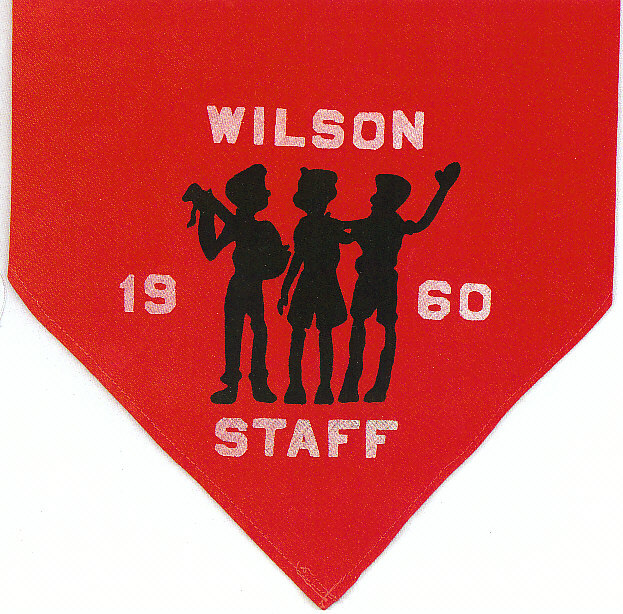 The summer camp was named Woodrow Wilson Scout Reservation, in honor of the former president. Mrs. Edith Wilson had been instrumental in the establishment of a previous scout camp of the same name, located at Four Corners, Maryland. Forced to move from that original campsite, the Boy Scouts established the second Wilson Scout Reservation on Pohick Bay. 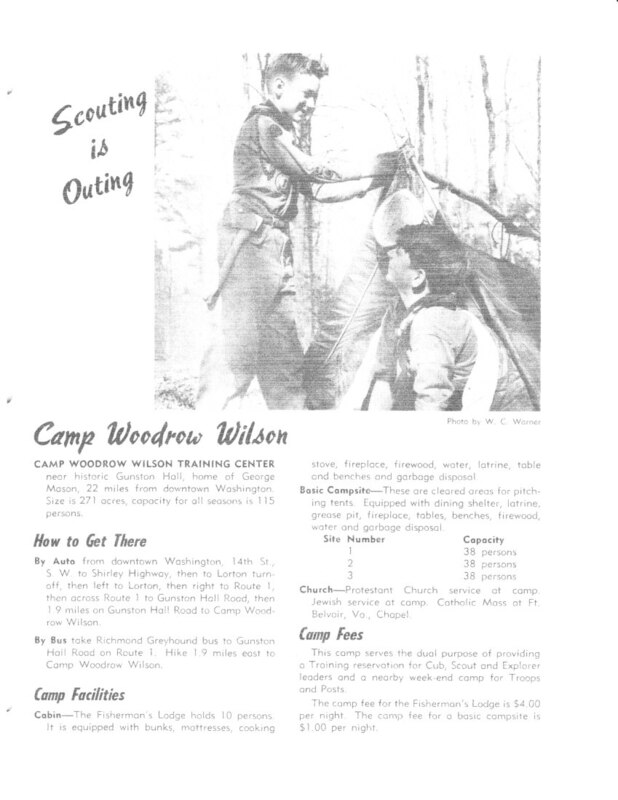 The Woodrow Wilson Scout Reservation followed the camping standards maintained by the national office, providing activities such as overnight sleepouts, cooking, hiking, swimming, and programs built around merit badge work. The Pohick Bay camp was primarily a summer camp that was also used on a short-term basis year-round. The length of the summer camp was dictated by the timing of school term but typically lasted from late June until the middle of August. The site consisted of a 1953 ranger house, six-room quartermaster/health lodge/trading post (circa 1948), a boat house, dining hall/kitchen known as Meyer Hall (circa 1948), and fifteen individual camp sites. Eleven of the camp sites contained wood shelters with dirt floors and no walls, latrines, and wash stands. An in-ground swimming pool was constructed with a pump house, filtering system, and shower facilities. A system of hiking trails coursed through the reservation and across the Bartschs' Lebanon property to the north. In 1967, the camp was closed when the Boy Scouts consolidated their many camping facilities into a single reservation at Goshen, Virginia. 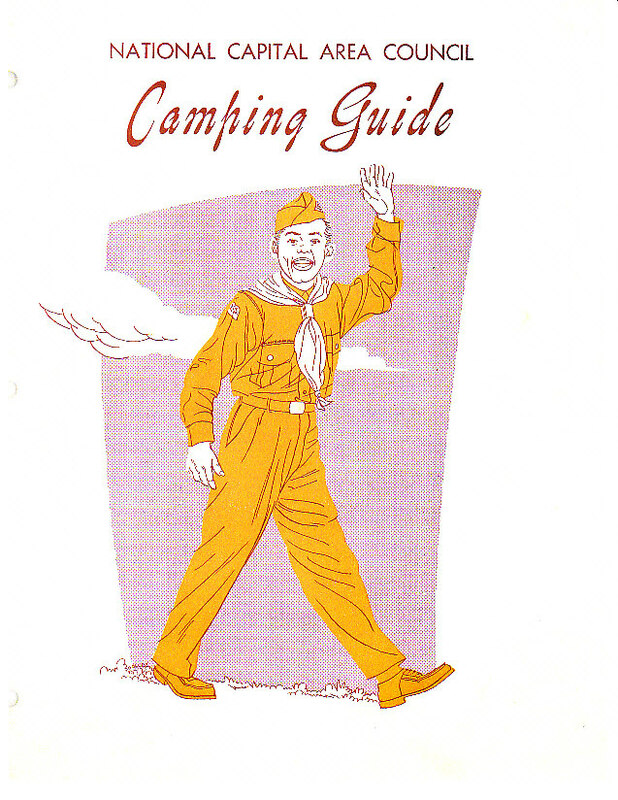 1958 - "Camping Report, William J. Hassan, The camping committee had a record year in 1958. 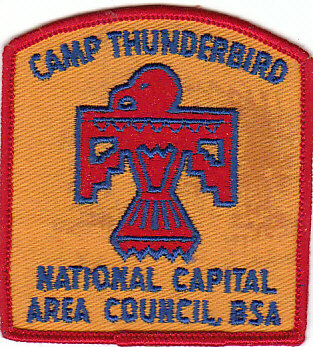 An all time high was reached in camp promotion with 4114 boys attending the three Council summer camps. 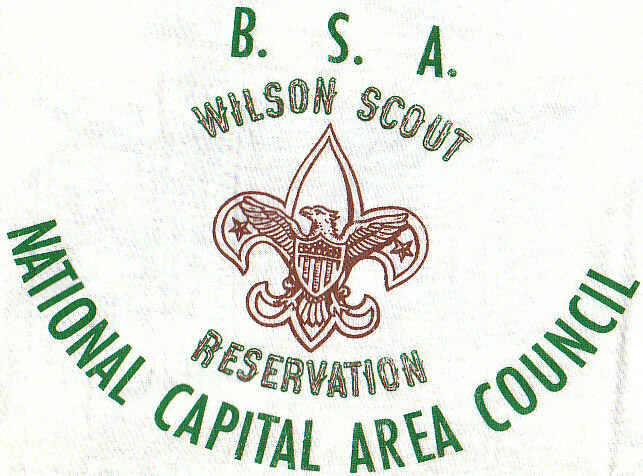 Camp Roosevelt and the Wilson Scout Reservation were in use continually. 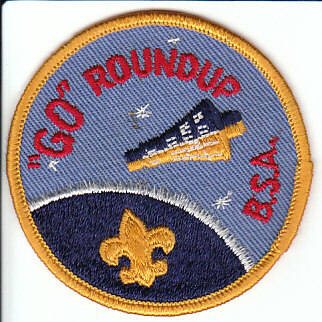 During the year thousands of Scouts enjoyed the thrilling experience of camping there on week-ends and holidays. Camp Thunderbird at Lake Sherando was very successful. This rugged camp provided high adventure for 500 boys and has been expanded to double that capacity for 1959. 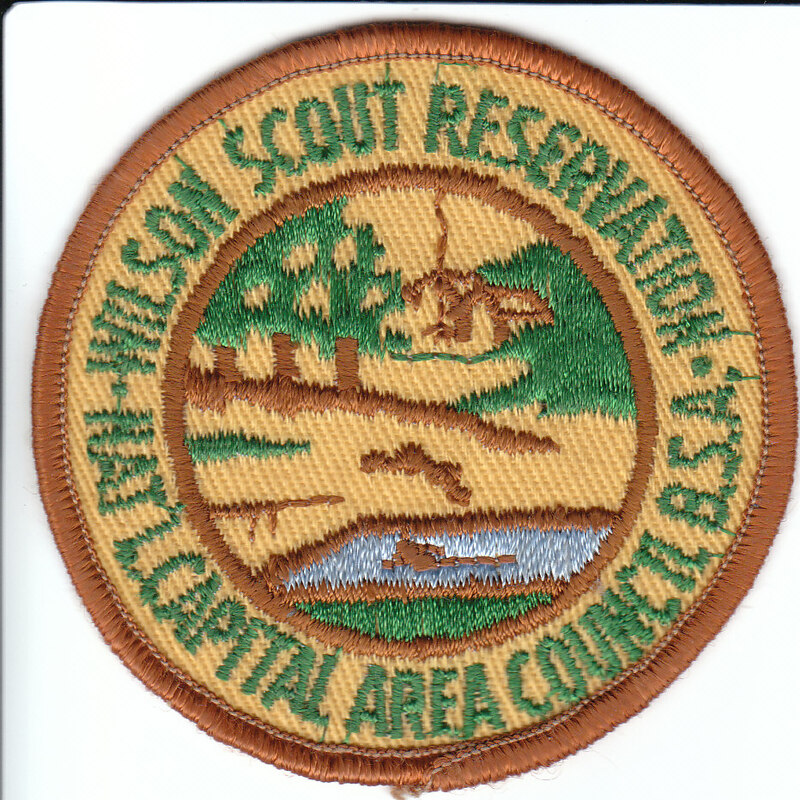 The outstanding accomplishment for 1958 was the development of the Wilson Scout Reservation. A dining hall was built and equipped by the Eugene and Agnes E. Meyer Foundation and campsites were developed to accommodate 200 boys a week. This development helped make possible the large increase in Scouts attending Council camps. The chart below indicates the increase in camping ovet the past five years. The camping committee again pledges that we will do everything possible to provide camping facilities for the ever increasing number of Scouts in the NationalCapital Area Council.